General Assembly recently announced their Income Sharing Agreement (ISA) program, meaning students pay 10% of their salary after graduating instead of shelling out for upfront tuition. We sat down with the General Assembly team to learn how they designed the ISA, all of the details and terms (including where the ISA is available), and who can qualify for the ISA. See how this new payment option is creating greater accountability between bootcamps and students, while expanding access to a broader group of potential bootcampers. Ashley Rudolph: Director of Consumer Operations and Financing at General Assembly. Ashley manages third-party financing programs ie. partnerships with lenders like Climb, Earnest, and Meritize. She’s now running design and implementation of the ISA program. Tom Ogletree: Senior Director of Social Impact and External Affairs. Tom works on programs designed to create access and opportunity for underserved and overlooked talent, through scholarships and partnerships with nonprofits and the workforce system. Tom also touches a lot of public policy and supports the Income Sharing Agreement program in that way. You already have partnerships with finance companies like Climb and Meritize – why is an income-sharing agreement important to General Assembly now? Ashley: Traditional lenders aren't a one-size-fits-all solution. I'm not claiming that the ISA will be, but our lenders partially rely on students’ credit scores in decisioning, and a lot of students don't meet those. An ISA is blind to applicant credit scores – instead, applicants are assessed on their merit. How do they do in our pre-work? Do they meet our assessment cut off? How can we look at a student's full picture to determine whether or not they should receive funding, as opposed to something as nebulous as someone's credit score? To be clear, there are some credit knockouts like bankruptcies and educational loan defaults. Through Climb, Meritize and other partners, we've been able to fund over 3,000 students for loans, but we have to decline ~50% of the financing applicants. By adding ISAs as an option, we're hoping to scale beyond that and reach a broader population who may not fit existing credit scoring criteria. Tom: We’ve taught over 700 students from underserved and overlooked communities, and one thing we’ve learned is that your past educational attainment and your credit history are not predictors of success in General Assembly classes, or of your ability to secure a job as a web developer or UX designer. How did you design the Income Sharing Agreement? Ashley: Our ISA is serviced by Vemo – we've been working on building and launching a partnership with them for almost two years. We worked with them to build something from the ground up. They used a lot of our financing data to inform what the terms should be for this offering. Tom: In the past, we partnered with Opportunity@Work to offer an ISA, and we were exploring what a potential pilot ISA could look like. We found that we needed to do more due diligence on our side to figure out the future of that model. We're really focused right now on moving this program forward and thinking through how we can layer in other resources and supportive services for candidates who may have had less access to education and professional opportunities. 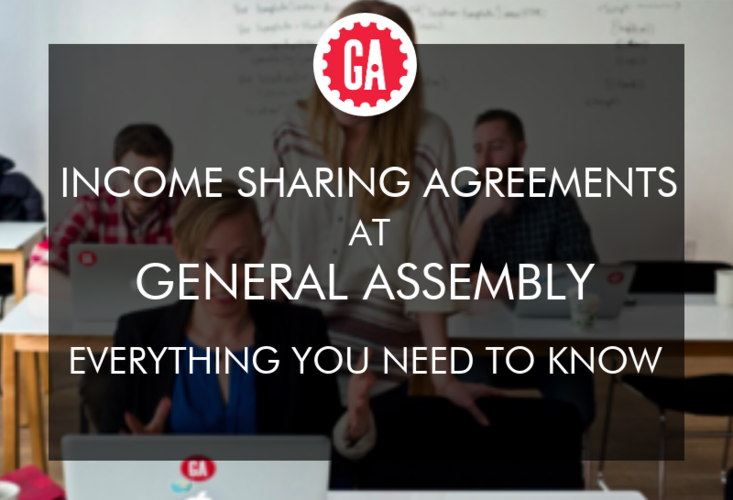 What are the actual terms of General Assembly’s Income Sharing Agreement? It's a 10% income share, meaning General Assembly will take 10% of the student's pretax income, if the student is working in a job that pays more than $40,000 per year. The term is 48 months but over a 96-month payment window. Sometimes employment is flexible. If at any given point in time over their 48 months’ payment window a student decides that they need to either leave the workforce – maybe they want to start a family, maybe they're unemployed, maybe they want to go back to school – they can decide to pause there ISA obligation and we can restart it at any point over an eight-year term. There’s a $250 deposit that can be financed or exempted. There is no cap on the number of students that can use an ISA. So the student is responsible for starting to share their income once they get a job – what kind of job and salary are we talking about? The student must earn a minimum income of $40,000 or the monthly equivalent. If an alum is not earning at least $40k, then they don't make payments. If a student never finds a job after 8 years, and their ISA obligation is certified, they will have never owe a General Assembly payment at all. The alum’s job does not have to be related to their course of study. Which General Assembly programs and campuses will this ISA be available to? Ashley: The ISA is going to be available at every US-based campus with the exception of New York City (due to regulatory restrictions - we're having conversations with leaders in the state in hopes we can offer ISAs in New York the not-too-distant future). It'll be available for all of our immersives – our User Experience Design Immersive, our Web Development Immersive, and our Data Science Immersive. The ISA is not available for online immersive programs quite yet. Our online programs are still fairly new, but as we gather more outcomes data for the online programs, our investors are totally open to offering the ISA to online students as well. Who is the ideal student for the ISA program? Are you looking for people with specific backgrounds? Meet our credit criteria – the only students ineligible to participate in an ISA is someone who has a major bankruptcy on their credit report or someone who has defaulted on an educational or has an open account in collections above $1000. Outside of that, anyone else is eligible. Once you’re deemed eligible to participate in the ISA, you’ll go through our standard pre-coursework and you must pass our pre-course assessment just like any other student at General Assembly. How will General Assembly track students’ job search progress? Ashley: In addition to our Outcomes Team tracking student success, our ISA servicer, Vemo, will be tasked with some of the more granular income reporting requirements for the ISA. Vemo will ask students for their payment and W2s to verify that the income that they reported throughout the year is actually correct. Our Outcomes Team has always tracked students’ first jobs, but not the career trajectory of students. Now that we’re working with Vemo, we'll be able to collect a more robust data set. Students will now be required to report salary for their ISA. Since it's in General Assembly's interest to get that money back from students, how will General Assembly ensure that grads land jobs earning at least $40,000? Ashley: We have five years of outcomes data and we know that 94% of our students who participate in Outcomes earn a job. So for us, we have solid outcomes data that points to the fact that we are doing the work, and we're happy about our results! We're going to continue to do what we're doing since now we can offer students an option that alleviates some of the financial stress that they've seen with other payment options. Tom: Students in General Assembly's immersive are career changers. They're looking to break into a new field specifically in web development, user experience design, or data science. That career outcomes piece is baked into the way we design our program – we're really preparing people for that job. The course is taught by a practitioner, the curriculum is really designed with employers in mind, and the career readiness piece starts day one. General Assembly coaches students before and during the program to think about what they want their next step to look like, and how they want to apply what they learn in General Assembly into the workforce. Most of our students are college-educated career changers – people who have worked in a nontechnical field and are really excited to pivot into a tech role. General Assembly grads do so well in terms of their job search because there is a massive demand for the tech roles we equip students for. We look at the pricing of our program, and the types of salaries that our graduates command after finishing. 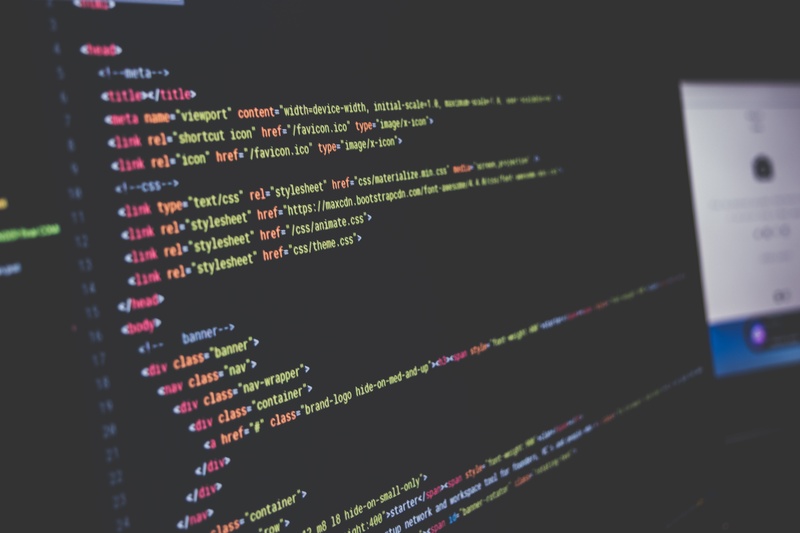 We are really intentional about not over-promising to students, but we're highly confident that if students are successful in the program, then they can secure a job that surpasses that typical starting salary for web developers, UX designers, and data scientists. We also make sure to recognize students who have really different goals. Some use this to build their own business, so they want to start freelancing, which is one of the reasons why we that $40k threshold to ease the pressure on folks who take a different approach to their career post-course. But the vast majority of General Assembly students are actively pursuing jobs as Junior Web Developers, UX designers, or Data Scientists. What's your advice for a student deciding between taking out a loan or using the ISA? Ashley: Our philosophy is to provide students with all the information they need to make the right decisions for themselves. We are not financial advisors, and we don't coach students on a specific direction when it comes to choosing a payment option. We give a robust informational package, and from there, students can make their decision. If students do have specific questions that are more technical in nature and are related to specific terms, we direct them to our partners. Is there anything else you’d like our readers to know about General Assembly’s ISA? Tom: We've really worked hard over the past couple of years now to think through how the structure of our model can really create shared accountability between students and us. We can create a lot of transparency and present ISA’s as an appealing alternative compared to paying out of pocket or taking out a loan. We also understand that there are policymakers watching this closely. For us, it's about showing how this really applies to our model of outcomes-focused, accelerated training in digital skills. But we also understand there are broader considerations within higher ed and the workforce system. Ashley: We're really excited about this – given General Assembly’s size and reach, this model has a lot of potential. We're eager to share as we learn and we’ll be really transparent with students and other players in the field. We want these new and innovative financial products to really work with students, because it can create greater accountability between individuals who are looking to build their skills and change careers, and us as a school. Read more General Assembly reviews on Course Report. Check out the General Assembly website.